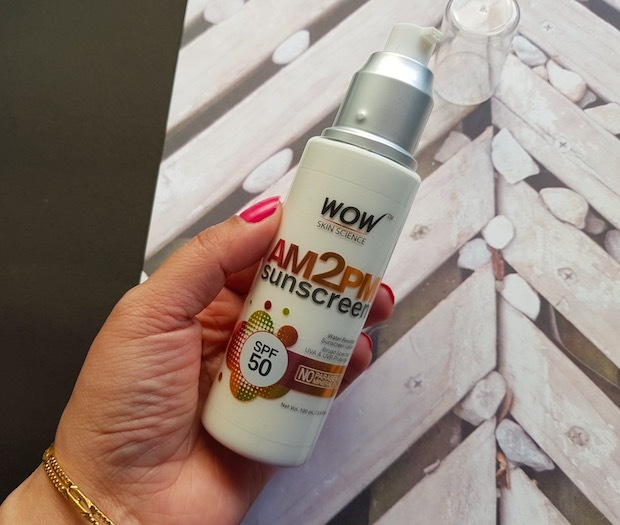 Hello everyone, today I’m sharing a review of the WOW AM2PM Sunscreen that I’ve been using for the past 3-4 weeks. 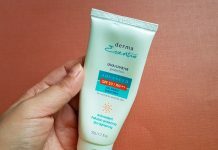 A good sunscreen is a must-have product for me not only during the summers but throughout the year. And if I don’t apply sunscreen regularly, my skin becomes very patchy, red and pigmented. I’m in my early 30’s and these days am focusing on the products that have some anti-ageing benefits too. WOW Skin Science brand offers some great beauty products with the interesting ingredients list. 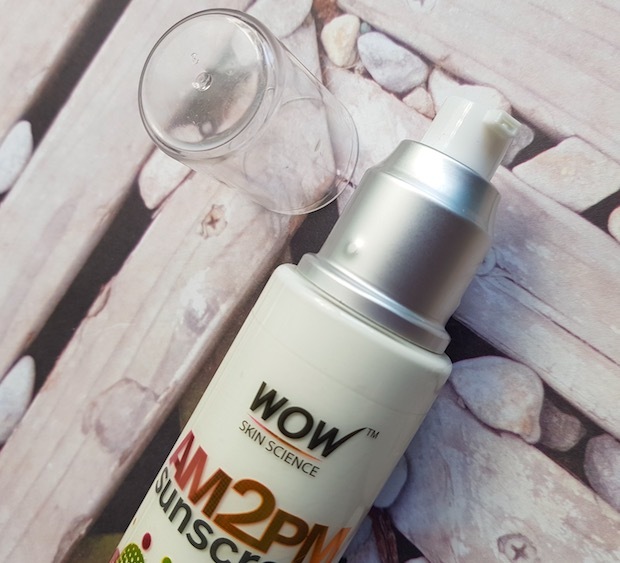 I did try a few haircare products from WOW (shampoo, conditioner) and this is my first skincare product from them. 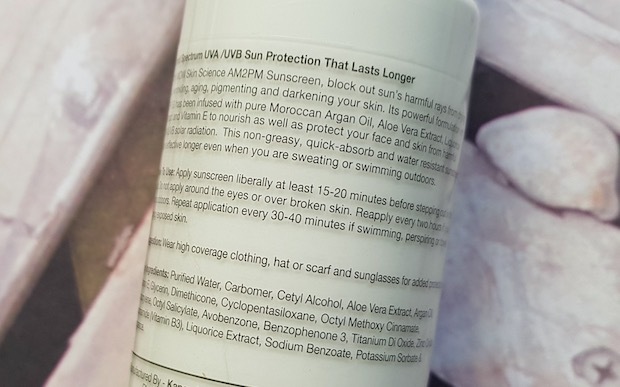 Packaging: The sunscreen lotion comes in a clear plastic bottle with a pump dispenser. The packaging is very hygienic, convenient to use and spill-proof that makes it easy to carry in a purse. The vital information like ingredients list, expiry date, price, etc. is also mentioned on the bottle. 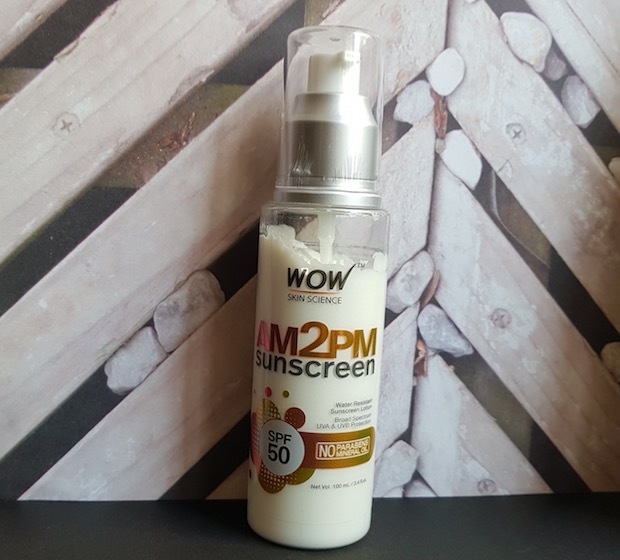 Price & Availability: The cost of the WOW AM2PM Sunscreen with SPF 50 is Rs.599 for 100ml, and it is available at leading online shopping websites like Flipkart.com, Amazon.in, etc. 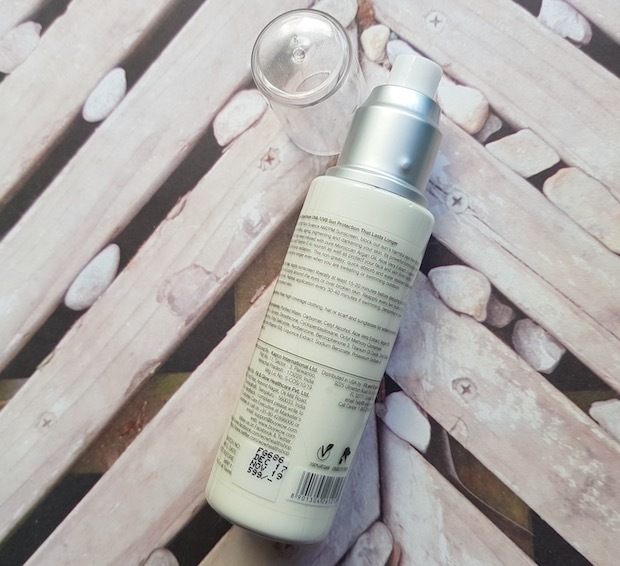 My Experience: The sunscreen lotion comes in a white colour and has a smooth, creamy texture. It has a mild scent that is not very noticeable. 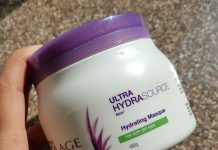 After cleansing and toning my face, I take out 5-6 pumps of this lotion and massage it nicely on my face, ears and neck (please make sure not to apply this sunscreen lotion around your eye area as it can irritate). It glides effortlessly and sinks into the skin completely without leaving any white cast. It moisturizes my combination skin well, and I don’t find the need for applying any moisturizer separately. I regularly apply this sunscreen in the morning and reapply it when am going out. As I mentioned earlier that I’ve combination skin, so it leaves my skin slightly shiny when am outside (not in AC environment). 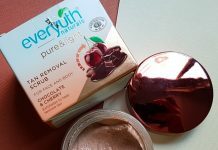 The formula is non-greasy, but if you have combination or oily skin, then you will notice that shine on your face especially if you stay out in the sun. 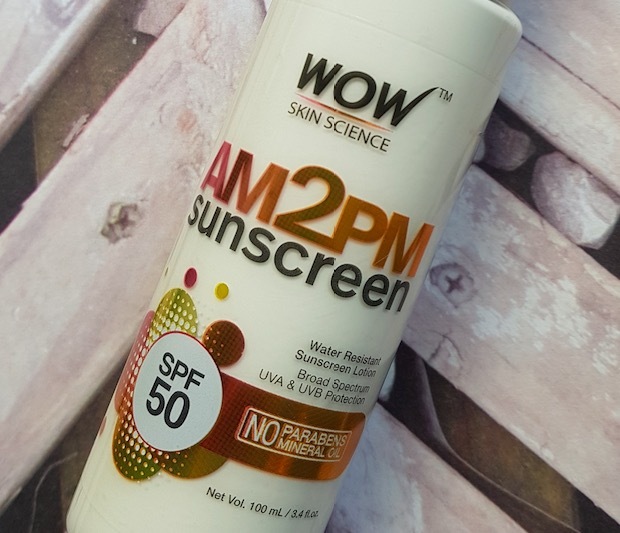 One of the best features of this sunscreen is its water-proof and sweat-proof formula. If you are someone like me who sweat a lot especially on the face, you need not worry about it melting as soon as you step out in the sun. Make sure to re-apply it every 2-3 hours if you stay outside for an extended period. Hygienic, convenient to use and travel-friendly packaging. Creamy consistency and has a soft scent that will not bother people who are sensitive to strong fragrances. It absorbs completely without leaving any white layer on the skin. It moisturizes the skin well (although people with dry skin might need to use a moisturizer separately). It is infused with Moroccan Argan oil, Aloe Vera extract, Liquorice extract, Vitamin E, Titanium Dioxide and Zinc Oxide. A vegan product and free of mineral oil and parabens. It has anti-pigmentation and anti-ageing properties. It has the broad spectrum with SPF 50. Value for money, quantity provided is good enough for up to two months. It can leave a shiny, greasy layer if you have oily skin. It irritates eyes if you apply it around the eye area. 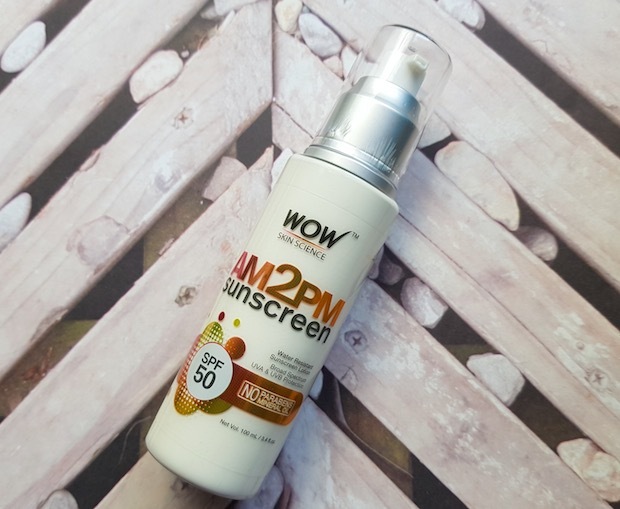 Overall, it is worth trying this WOW sunscreen lotion. It is non-sticky, doesn't leave white layer, resistant to water and sweat and has SPF50. Additionally, it is free of mineral oils and parabens which is always a plus point. Recommended!